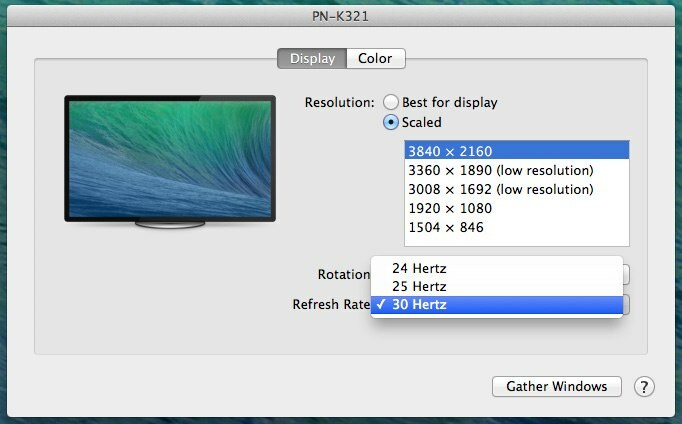 OS X 10.9.3 Mavericksから加わった4Kディスプレイのスケーリング表示（HiDPI）はMacBook Pro RetinaディスプレイLate 2013 13インチモデルでは使えない？ | AAPL Ch. 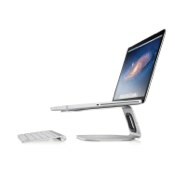 The Dell UP2414Q, a 24″ 3840 x 2160 display, is now properly supported by OS X and Macs that can drive it at its native resolution. Apple appears to have manually added a profile for the UP2414Q as its scaled resolutions are somewhat different from the 30″ Sharp/ASUS 4K panels. 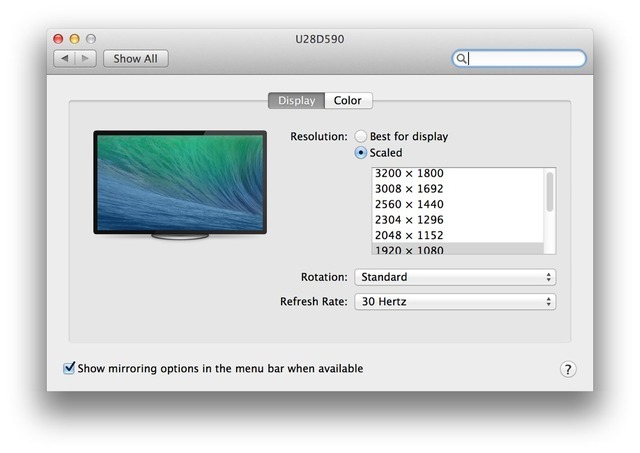 Apple now gives the user options for display scaling which includes settings for a workspace that looks like 3200×1800, 2560×1440, 1920×1080, or 1280×720. All of these are handled the same way as on the Macbook Pro with Retina Display where the display is rendered offscreen at twice the selected vertical and horizontal resolution and then scaled down to the panel. In the case of the 3200×1800 setting this means that the display is rendered offscreen at 6400×3600 which may cause performance issues when being driven with the Intel Iris graphics of a Macbook Pro with Retina Display or the entry level 21.5” iMac.